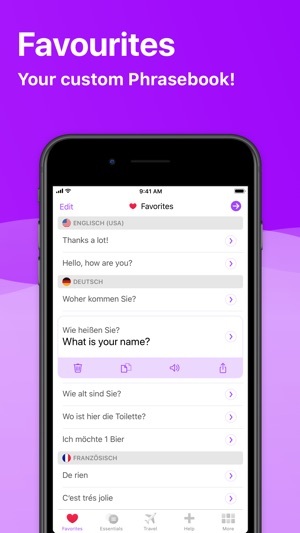 Instantly converse in over 40 Languages. 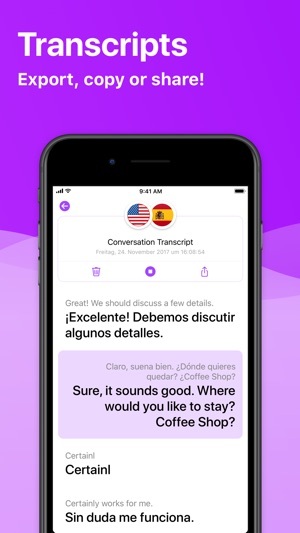 The perfect travel companion with over 250 predefined phrases. 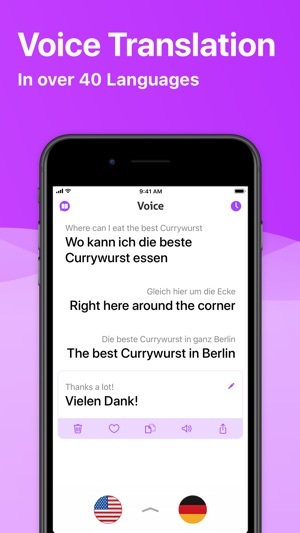 Export, copy or share any voice conversation! Download them now for FREE and enjoy your PRO subscription! The single-language (English and .... Spanish, for example) translator/dictionaries are much better at what they do, and are less expensive or free. This one is eight dollars but gives you many idioms in one app. ; nice if you're traveling through Europe for example. 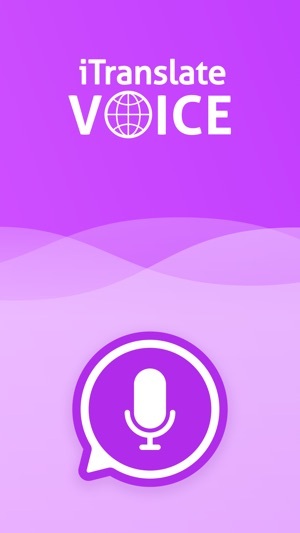 Its main voice translation competitor right now is Speak & Translate ... but it's a hefty twenty bucks! S & T is slightly superior in several areas, like voice volume for instance. Yes, that's very important in a product like this because it's often being used in noisy environments. and since you're mostly listening (or asking the OTHER person to listen) to a foreign jumble of syllables, you want a higher degree of sharpness & clarity & volume coming from your tiny little smartphone speaker. 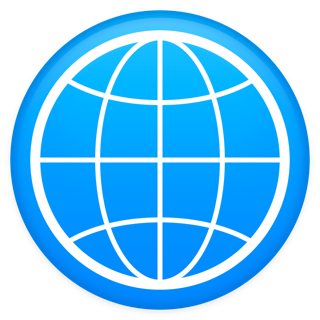 The text-only version of iTranslate is free and works quite well, so you might want to check that out first before spending the $8 for the voice version. This is a good translator but beware that if your car has carplay and you plug your phone in to charge it, this app will not work until you unplug it. While most apps are not “CarPlay” compatible, this is the only app I have found two cease functioning while CarPlay is activated. I have had difficulty getting the developers support personnel to understand that this is a bug and not the absence of a feature. If and when the bug is corrected I would give the app five stars because it does a very good job at translating in other conditions. March 21, Update: The developer continues to misunderstand that this is not a compaitiblity issue with CarPlay but that his app no longer functions when carplay is plugged in. I've given up trying convince them of that. One more try, If your car has carplay and you plug your phone in to charge it, this app won't work period. Unplug from the car and the app works. I really like the old version before the update today because it would let you tap the speech button not only on English but on Japanese as well but now it treats it as a whole and doesn’t give you that option. 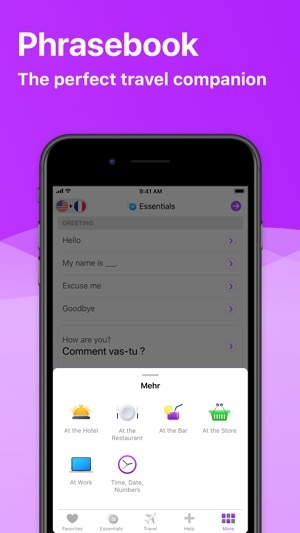 I think it’s cool you added a phrasebook but I feel most people use this app to test their own speech in another language and play it back to see if it sounds similar and not as a quick handbook was predetermined phrases. Most people would say just say what you need to say in English and it will translate it through another language but sometimes that’s not the truth is it’ll translate it differently that’s why I really appreciated the button where you could say something in a foreign language and replay it back in the foreign language not your native language. We are sorry to hear you are unhappy but we didn't remove this, it works exactly the same as it always has.